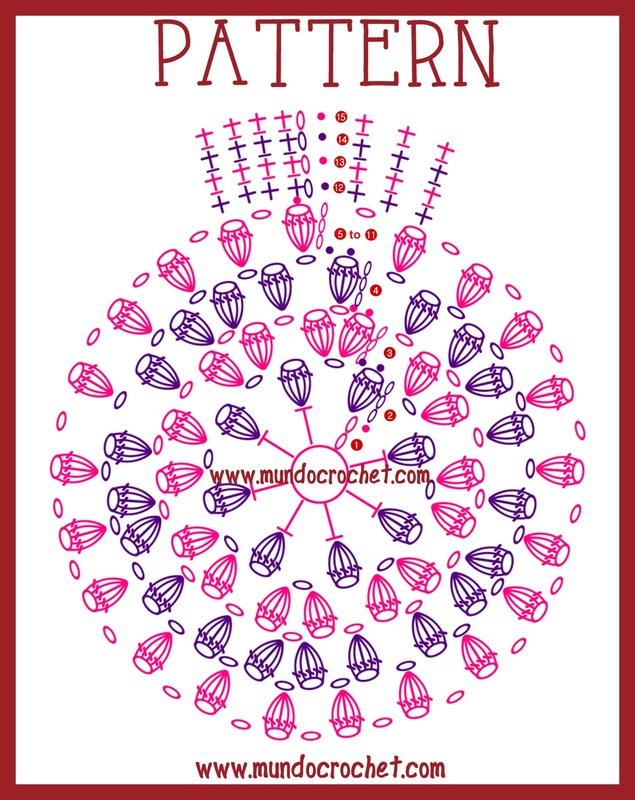 Here you can see a new pattern. 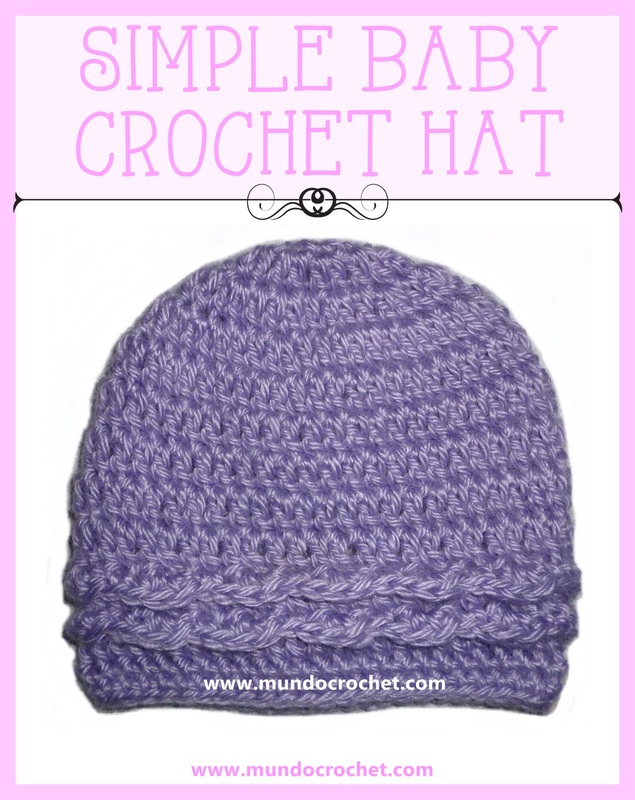 It´s a very simple and easy to follow crochet hat for baby crocheted in double and single crochet stitches. 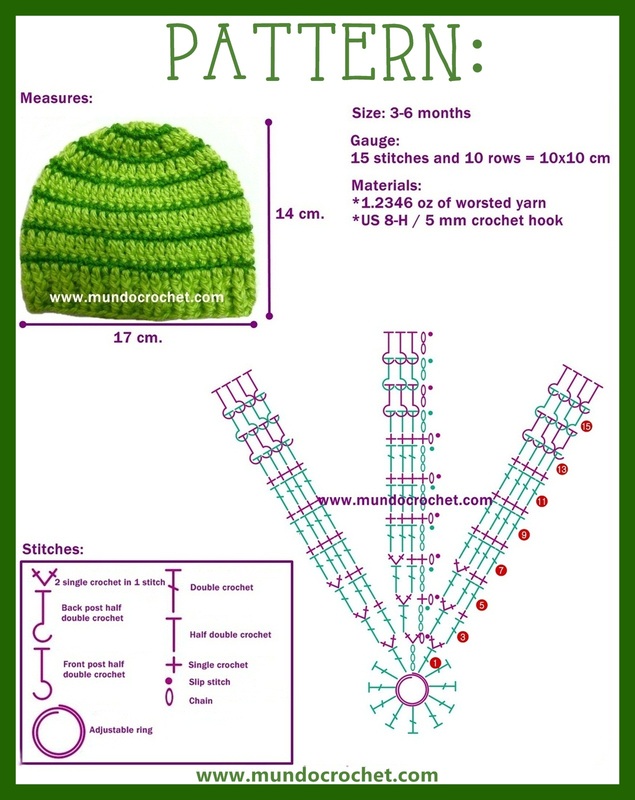 The size is 3-6 months. 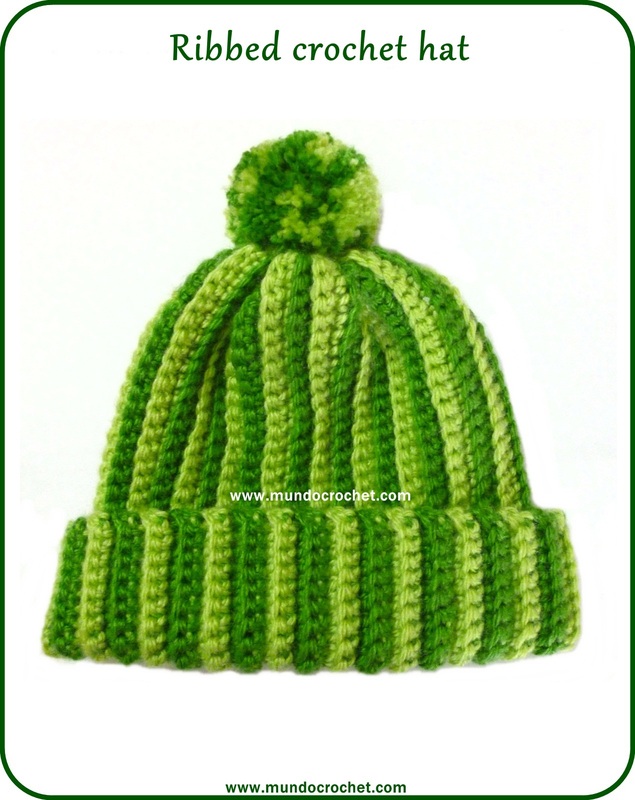 It took a very little time to crochet it. 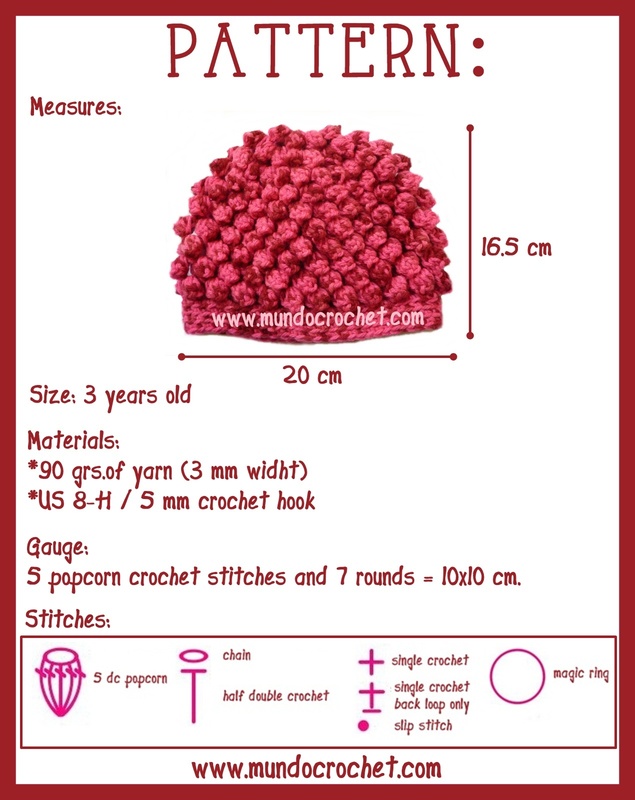 Ideal for those moments when you ask yourself: ¿What can I do with so little yarn? 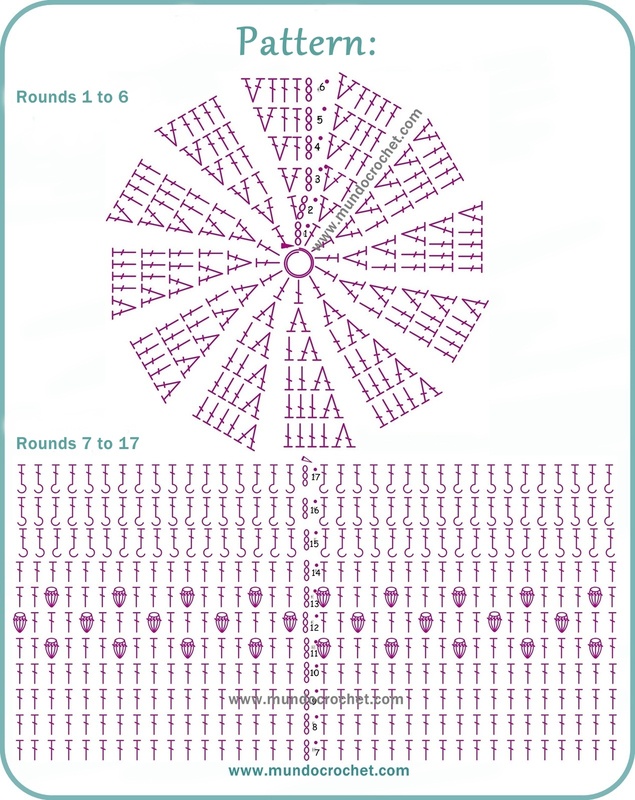 Rounds: 1) Ch 3 (counts as first dc), 11 dc into ring, sl st in top of the first dc of the round. Total: 12 dc. 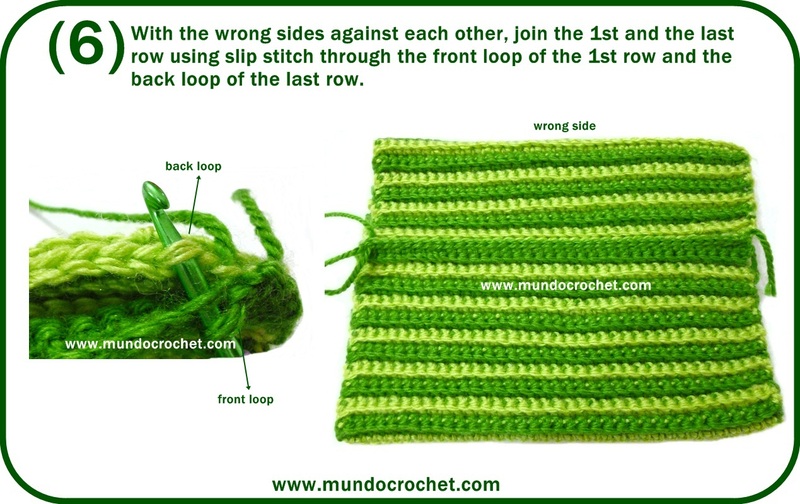 2) Ch 1, 2 sc in the same stitch. 2 sc in the next 11 dc. Sl st in the first sc of the round. Total: 24 sc. 3) Ch 3. 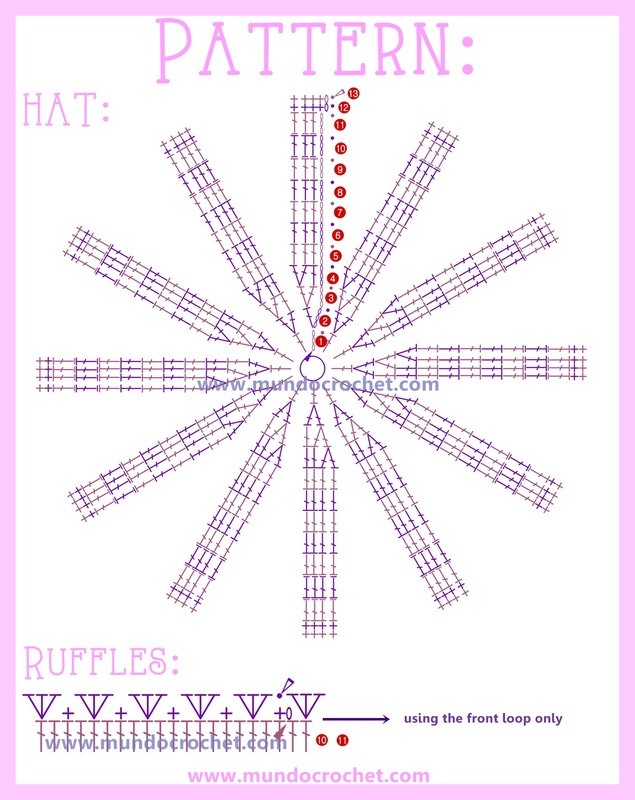 1 dc in each stitch of the previous round. Sl st in top of the first dc of the round. Total: 24 dc. 4) Ch 1, 1 sc in the first st. 2 sc in the next st. Repeat until end. Sl st in the first sc of the round. Total: 36 sc. 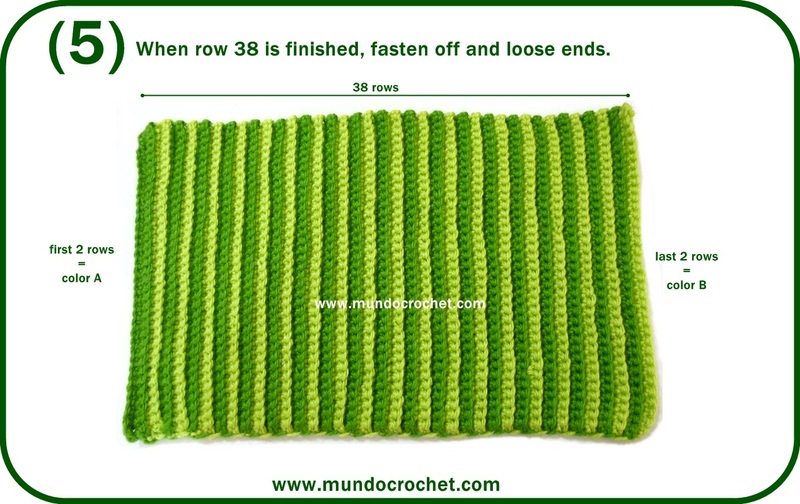 5) Ch 3, 1 dc in each stitch of the previous round. Sl st in top of the first dc of the round. Total: 36 dc. 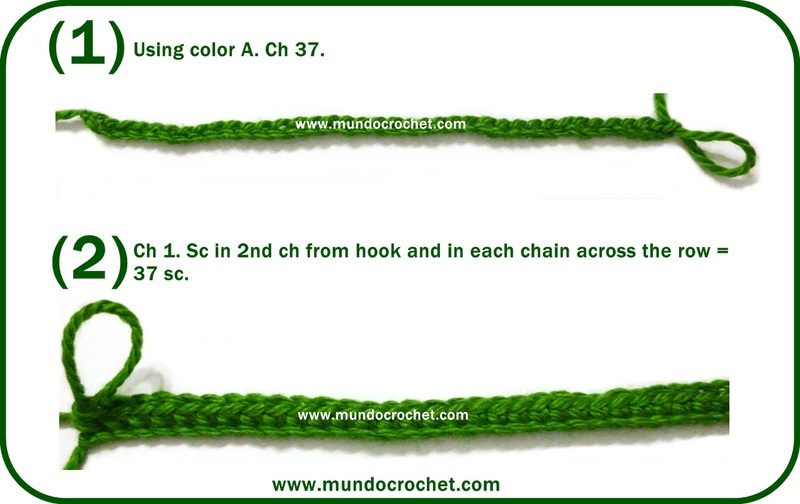 6) Ch 1, 1 sc in the 1st and 2nd st. 2 sc in the next st. Repeat until end. Sl st in the first sc of the round. Total: 48 sc. 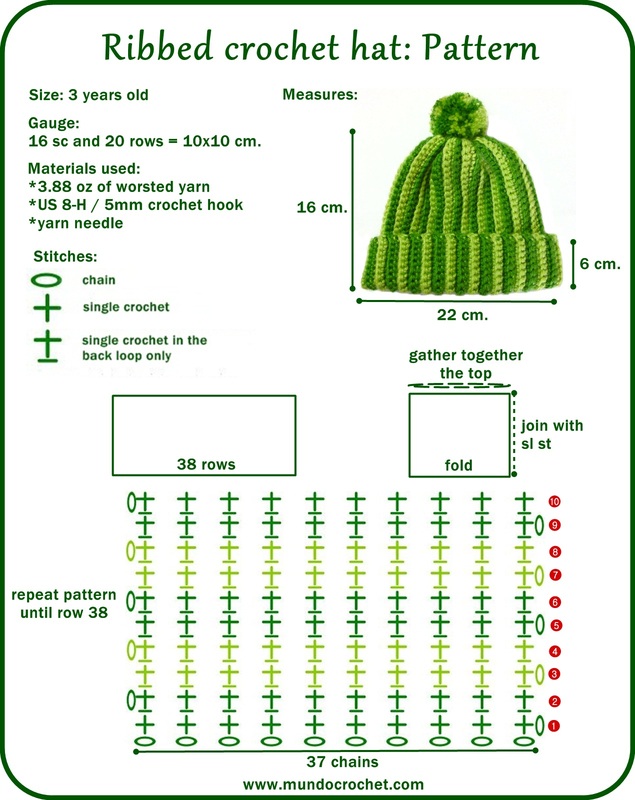 7) Ch 3, 1 dc in each stitch of the previous round. Sl st in top of the first dc of the round. Total: 48 dc. 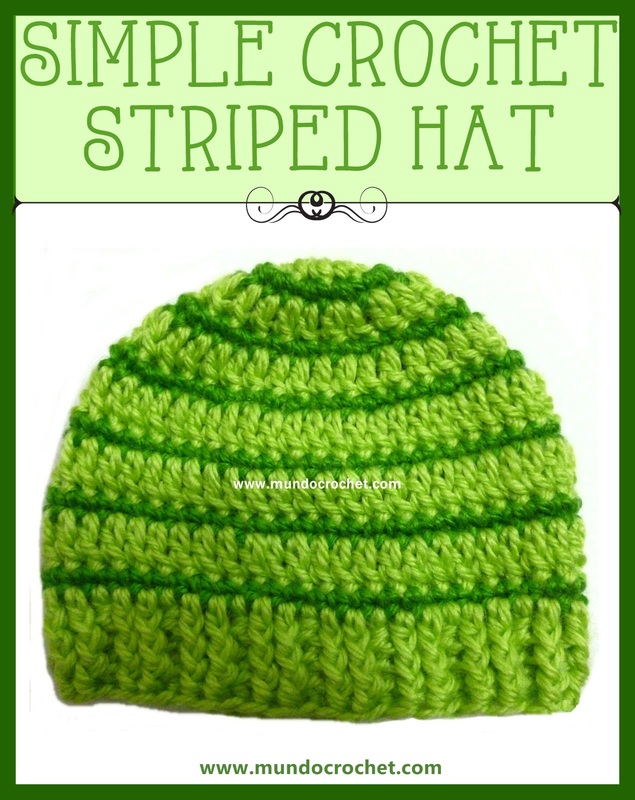 8) Ch 1, 1 sc in each stitch of the previous round. Sl st in the first dc of the round. Total: 48 sc. 9 to 13) Repeat rounds 7 and 8. 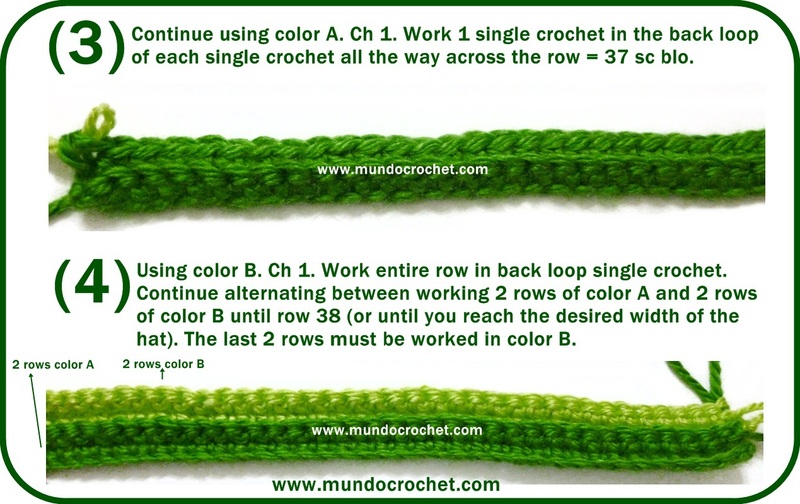 14) Ch 2, 1 front post hdc in the 1st and 2nd st, 1 back post hdc in the 3rd and 4th st. Repeat until end. Sl st in the first dc of the round. Total: 48 hdc. 15 to 16) Repeat round 14. 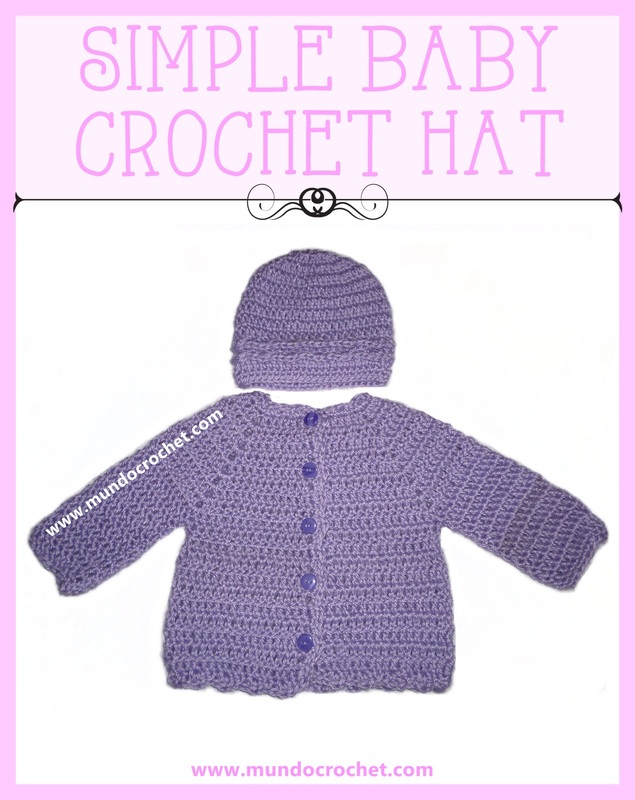 In this new post I want to show you this beautiful baby crochet hat that matches with the baby crochet cardigan published in the previous post. 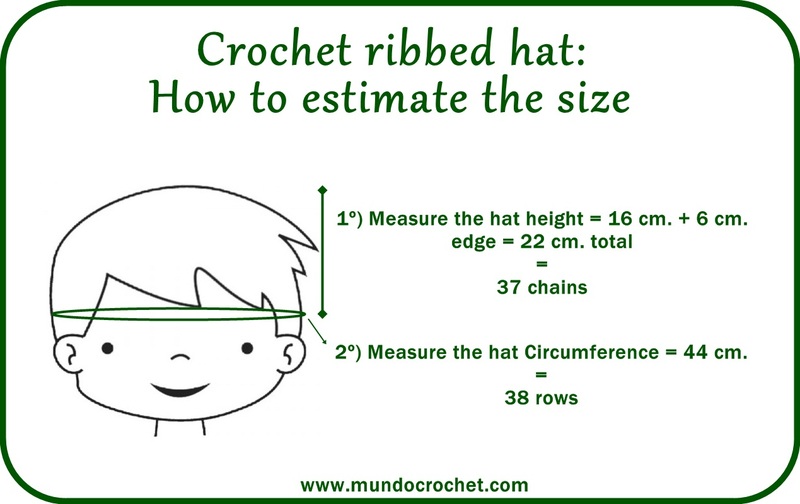 Like the cardigan, it is very easy to crochet. 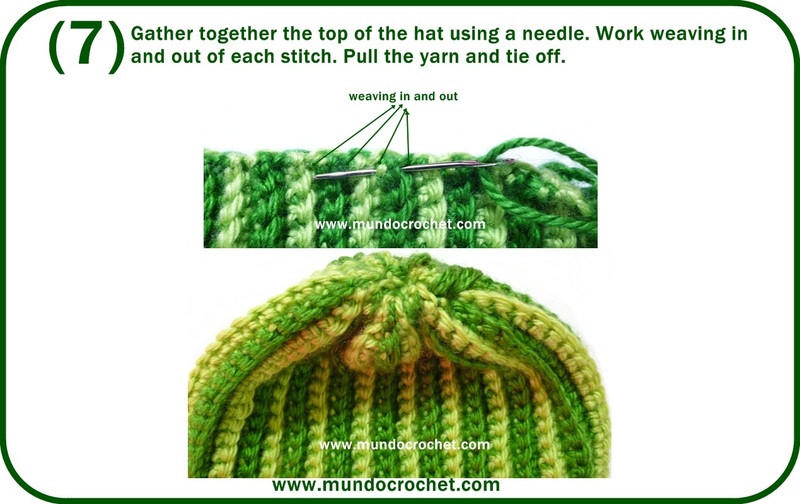 It uses the same stitches and the detail is in the two rounds of little ruffles that matches with the edge of the cardigan. 5 to 9) Ch 3 (counts as first dc), 1 dc in each st of the round. Sl st in top of the first dc of the round. Total: 48 dc. 10) Ch 3 (counts as first dc), 1 dc in each st of the round using only the back loop of the st. Sl st in top of the first dc of the round. Total: 48 dc. 12) Ch 1, 1 sc in the same st. 1 sc in each st around. Sl st in the first sc of the round. Total: 48 sc. Round 10) Ch 1, sc in the same st, *skip 1 st, 3 hdc in the next st. Skip 1 st, 1 sc in the next st*. Repeat from *to* until end. Sl st in the fist sc of the round. Round 11) Repeat round 10. 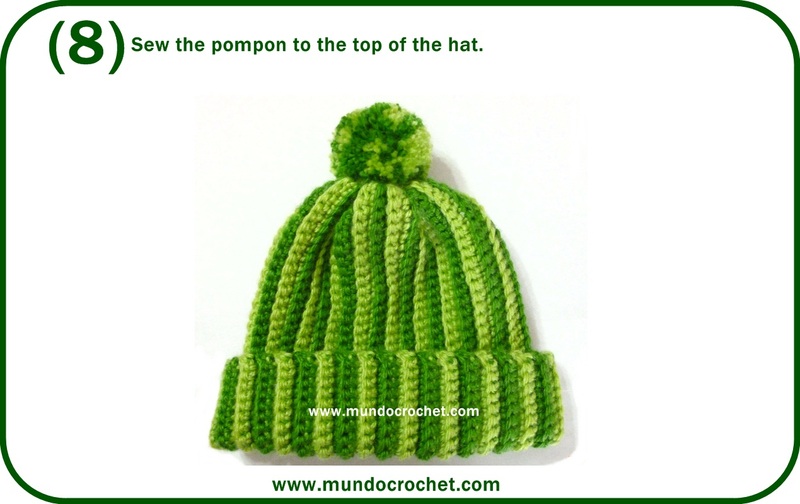 In this post I want to leave you a new pattern: a hat in which the detail is given by the relief. 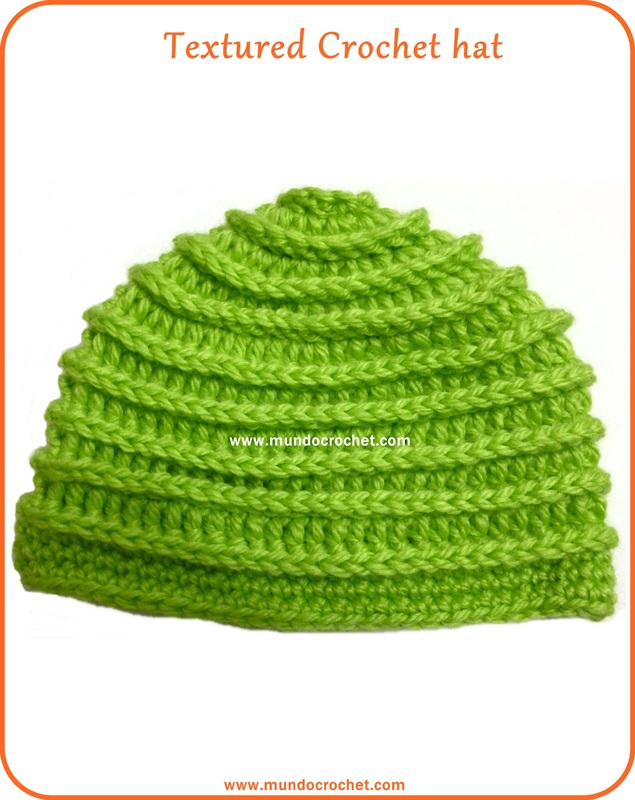 This relief was made by crocheting the back post single crochet stitch. 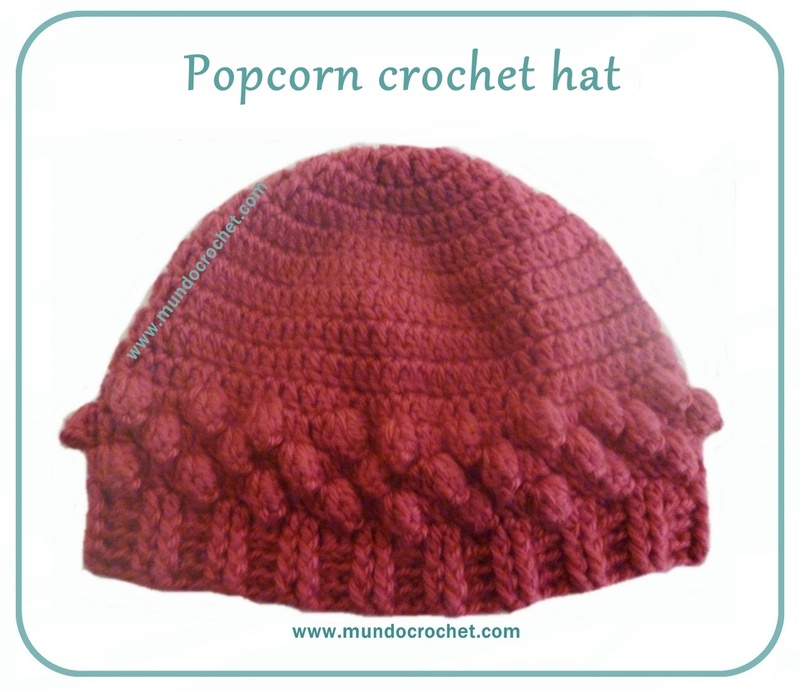 Here you can see the tutorial of this stitch (in spanish). 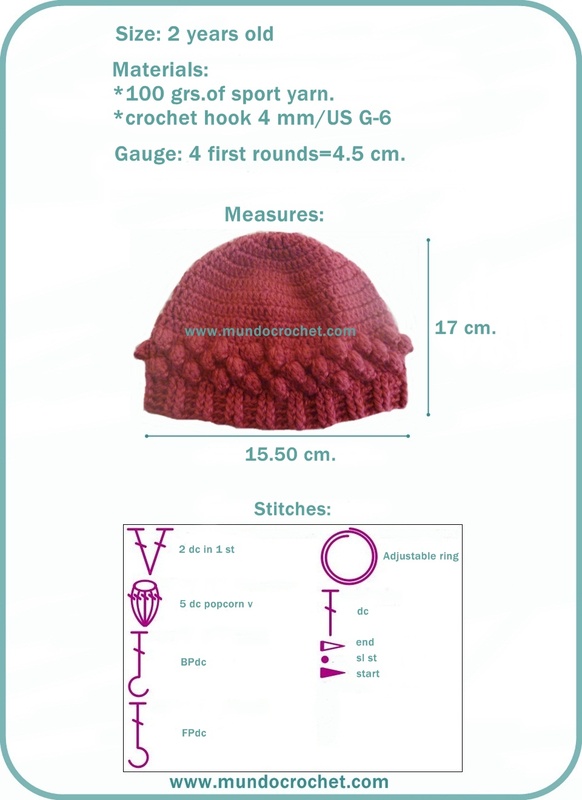 The rest of the pattern is crocheted in double and single crochet stitches, making it an ideal project for beginners. 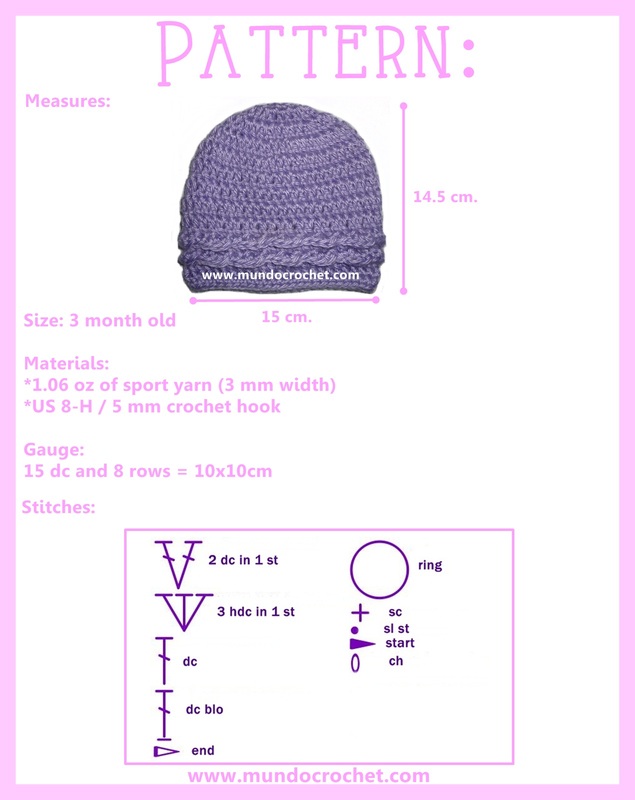 Here you can see how to crochet in the round (in spanish). 13 a 18) Repeat rounds 11 and 12. 19) Ch 1. 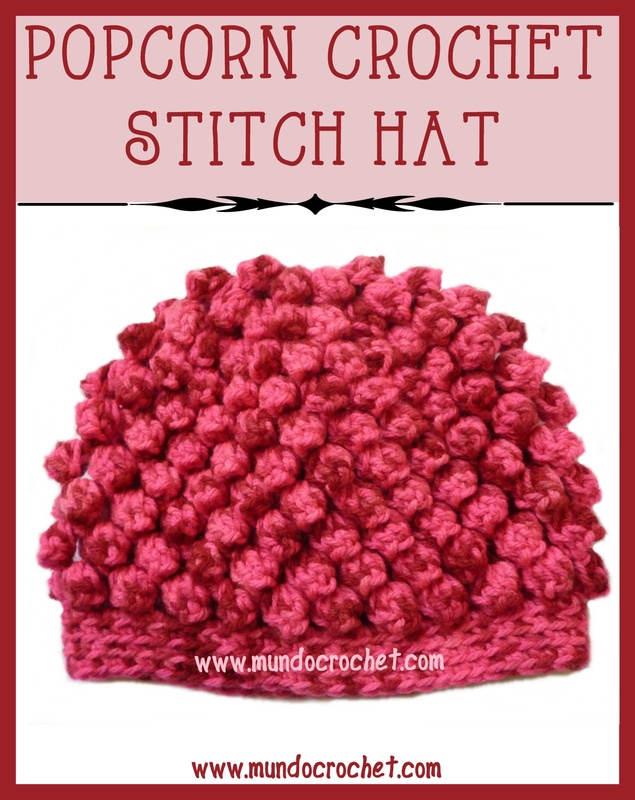 Single crochet in each st stitch around. Join with sl st in the top of the first sc. 20 y 21) Repeat round 19.